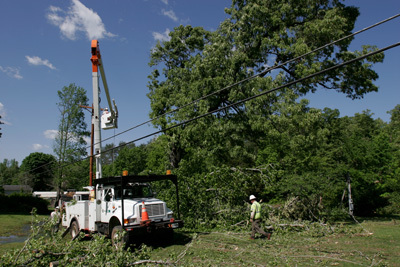 NASHVILLE – Working jointly with other statewide electric cooperative organizations, Tennessee’s electric cooperatives are sending crews to Virginia to help restore electric service to those affected by severe storms on Friday and Saturday, June 29 and 30. 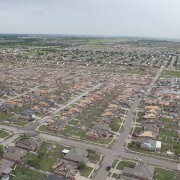 Emergency work plans were put into place on Saturday morning, June 30, and crews from Tennessee headed for Virginia later that day. 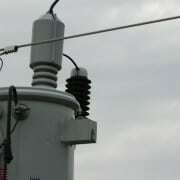 This cooperation is enabled through mutual aid agreements between electric cooperatives. Some Tennessee cooperatives received damage from the same storm system that impacted Virginia. 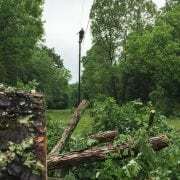 Holston Electric Cooperative, Mountain Electric Cooperative, Fort Loudoun Electric Cooperative and Volunteer Energy Cooperative service areas received wind-related storm damage over the weekend. 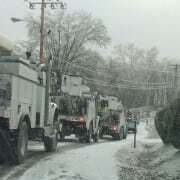 Holston Electric Cooperative and Powell Valley Electric Cooperative also had outages caused by a fire at TVA’s John Sevier generation plant. All service was restored on Friday evening. The John Sevier plant remains off-line, and TVA is requesting that northwest Tennessee residents conserve energy when possible until the plant resumes production and the high temperatures subside. The Tennessee Electric Cooperative Association is a trade group representing the interests of Tennessee’s 23 electric distribution cooperatives and the 1.1 million members they serve.